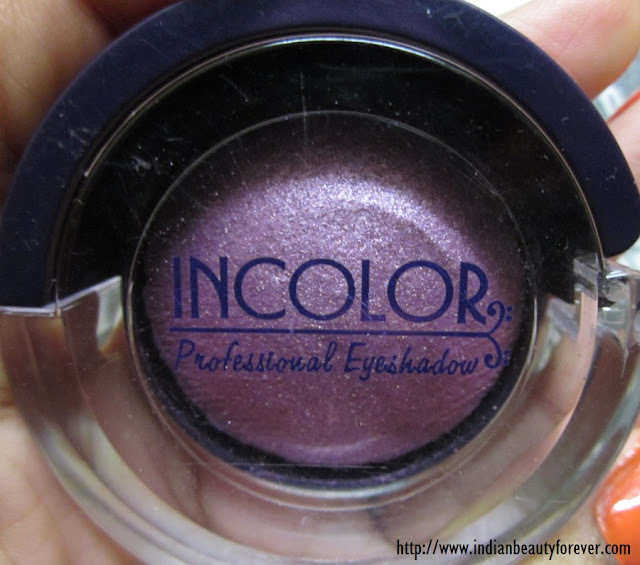 Gives a flawless gorgeous touch to your eyes. My Experience- I ordered this purple shade as other shades were either too light or sold out. The first thing that I noticed was its packaging, very unique and interesting for a mono or single eyeshadow!! It has a mirror at the bottom though there isn't any applicator which shouldn't be an issue as most of us won't ever use the applicators that accompanies the eye shadow kits unless they are proper proper brushes!! Quantity is okay for that price or thats huge. 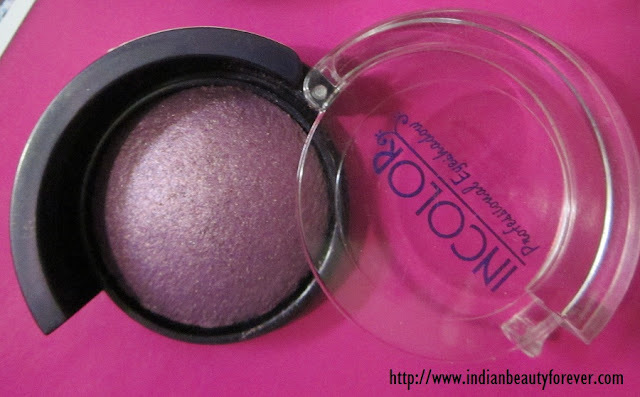 the eyeshadow is arranged as a Dome shape that reminds me of some baked eyeshadows. 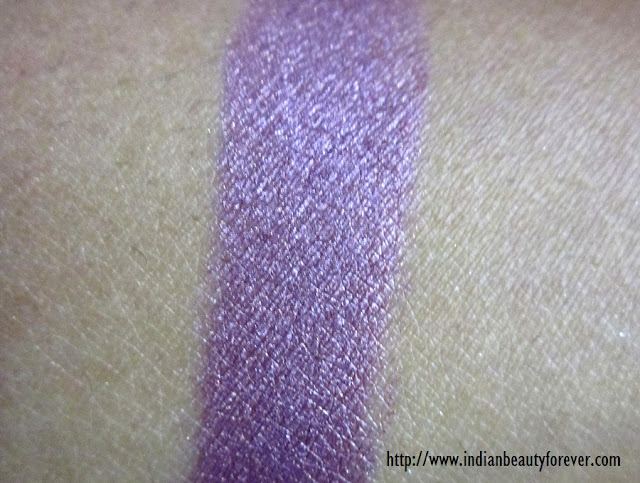 Baked eyeshadows are those that you may use as wet or dry! It does not say anywhere that you can use it wet though but just as a curiosity I tried using it as a wet shade and Voila!!! it fared well!! :D It's intensity was better than before. I mean as than the dry form. Its texture is nice and satiny with fine shimmer that makes it fall under the category of pearly eye shadows. 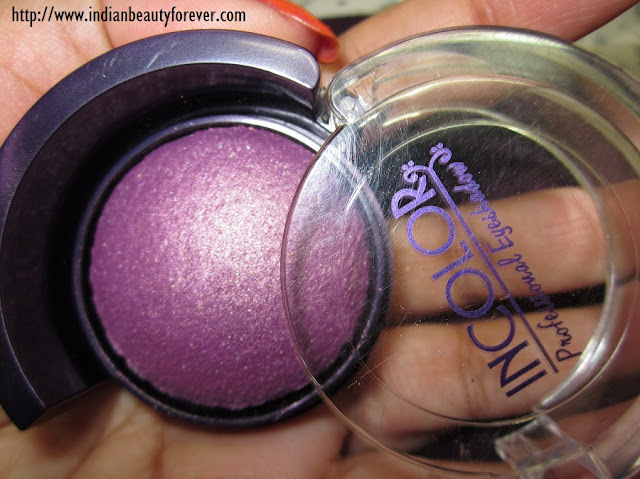 Fall outs isn't much seen with this and staying power is decently good even without an eye shadow primer, In fact it did perform well as I have noticed some of the branded eye shadow may not even survive that long, which it did, with out the primer. 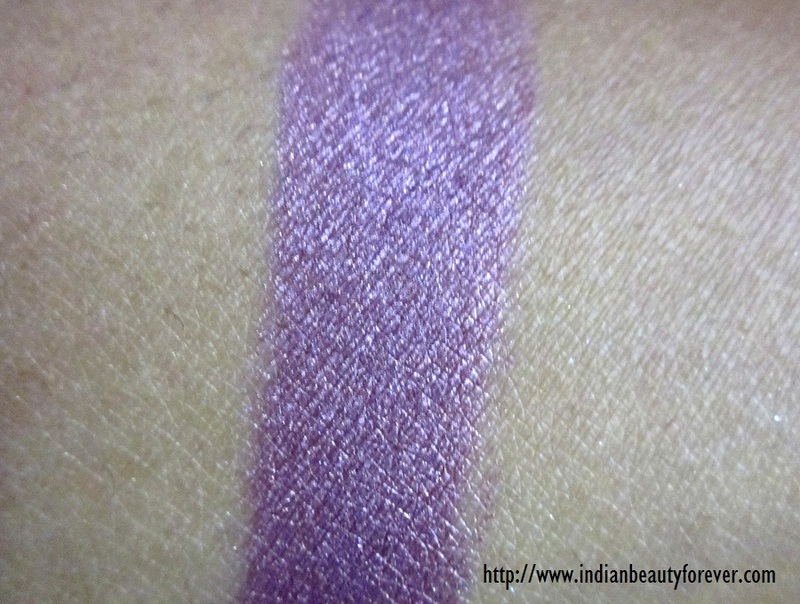 Pigmentation as you can see in the pictures that it is very good, which is the highlight of this product I should say! It glides on smoothly and there wasn't any uneveness. Texture is decent, no powdery feel to it! the only thing I didn't like was that shade is just written on a plain piece of paper that has been pasted on it. Seriously, it looks cheap! and the missing ingredients list, which is fine, even some brands didn't even care to provide us the list of ingredients even if we pay whatever the price tag they put :/.. so fair enough.!! . Easily available online on sites like snapdeal.com and flipkart.com, how long will they sell it, I have no idea. Price is okay for the quantity given. Packaging is good and interesting as you ave to tear it apart to open it. Texture isn't powdery and fall outs weren't there. A good sized mirror at the back, sorry I forgot to click that picture though! I've used these single eyeshadows in black and pink. The pigmentation is fabulous! You have, thats great then i will buy more now!! I dont know why they cant update their inventry count and moreover that getting in installments is irritating. That colour is so beautiful! Thats great! ask her and do let me know how the blushes are. Yes Jyo, :) they do have different variation of gold shades. try them!! i m waiting to see how it will look on u.. I will try it in golden shade now. 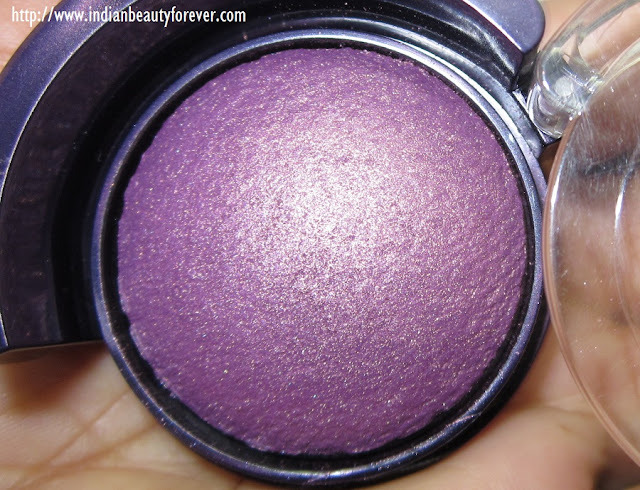 Such a nice solid purple, I haven't used purple on my eyes in a long time! Need to do so! This would be my second purple though! Thank you for visiting Inderjeet! !